Behind the Scenes at Kravet Inc.
At TLS, we pride ourselves on our relationships, whether it’s our clients or contractors we are committed to maintaining and fostering lasting partnerships. And sometimes we are fortunate enough to benefit from these valued friendships, as we did on a recent trip to visit our dear friends at Kravet Inc. at their NYC headquarters. Principal Designer, Tracy Lynn, was invited to participate in Kravet’s inaugural “National Design Educational Experience” (NDEE) in New York, along with a select group of interior designers from across the country. The focus of the gathering was “the business of design, the inspiration, the processes and the path to success”. There were beautifully orchestrated dinners, outings around the city and discussions with leading industry professionals. 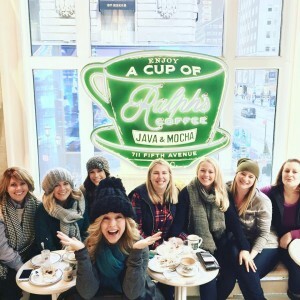 Upon hearing about the upcoming trip, many of the other Studio team member decided to piggyback on Tracy’s travels and visit the big apple, meeting up with Tracy when her busy schedule permitted. 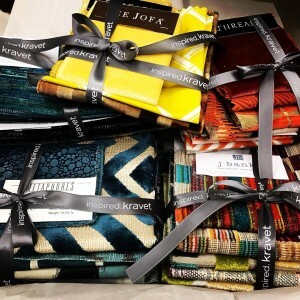 During the NDEE visit to the family-run Kravet Inc. headquarters, Tracy met with the gracious current generation of Kravet owners, and mentioned the rest of the Studio team making a trip out of it. The incredibly thoughtful Kravet’s were so delighted to hear the news and immediately arranged a private tour for the entire team. Given the opportunity to take an in-depth behind the scenes tour and catch a glimpse into their creative processes was such a treat and truly memorable experience. Upon entering their offices, we were immediately taken aback by their genuine warmth and hospitality. The affable Kravet family, took the time to lead the tour themselves. Visiting the headquarters of a world renowned, design innovator could have been an intimidating experience but Kravet Inc. was unbelievably welcoming to everyone in attendance, taking the time to personally interact with each member of our team. And we were so happy to see that the Kravet crew is made up of “real” people and just as tightknit a group as our own studio. Following the initial meet and great, we made our way through the various Kravet departments, including fabrics, trimmings, carpets and furniture to name a few. 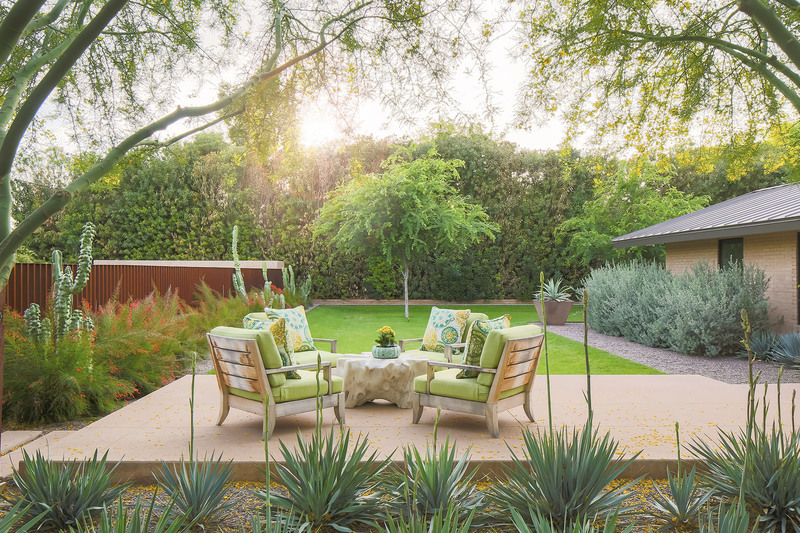 It was the interior design equivalent to visiting a couture fashion house in Paris and a completely different experience from stopping by the West Coast design showroom. Meeting the individuals responsible for some of our go to design resources was such a pleasure. 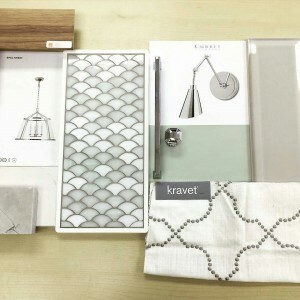 The Kravet team shared the secrets of their design process, from inspiration to concept, sketch, mock-up and so on… until finally arriving at the end product. One such team member gave us a preview of an exclusive collaboration with a Malibu based designer which left the TLS team with some aspirations for the future. The tour gave us an even deeper appreciation for all the work that goes into creating the products we use so often and it was such a privilege and honor to be invited into the world of Kravet Inc.
After returning back to the TLS offices, we continued to reflect upon the importance of vendor relations and creative inspiration, which lead us to formally establish a person to lead those efforts as the new Director of Creative Design for TLS. We are so excited to announce that our longtime designer, Christine Barber, is taking on the responsibilities in addition to her role as designer. 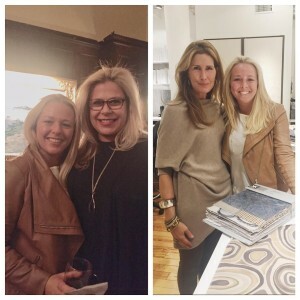 Tracy meeting fellow designers Alexa Hampton (left) and Linherr Hollingsworth (right) at the Kravet Inc. offices. 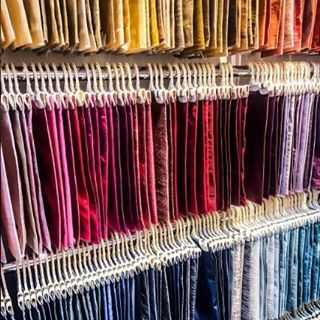 Color graded fabrics at Kravet Inc. The TLS team enjoying one of their favorite pastimes at Ralph’s Coffee.